A natural deodorant made from organic ingredients that work AND is Baking Soda FREE! Specially formulated for sensitive rash prone pits. 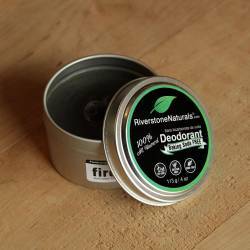 This Lime & Bergamot natural deodorant combines the odor destroying power of activated charcoal with the astringent and anti-bacterial qualities of citrus and salt. Something you might find in a margarita or as we like to call it - a party for your pits! 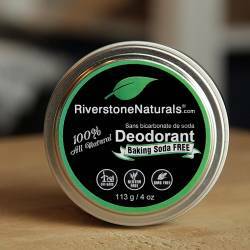 * Uplifting blend of essential oils "It's like a Margarita mix for your pits!" * Naturally active against bacterial, yeast, and fungi. 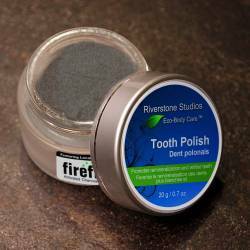 * Activated Charcoal traps and reduces toxins. 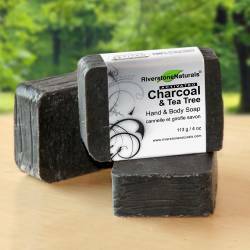 * Soothes and calms skin irritations. 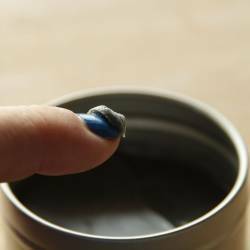 Simply use the back of your fingernail to scoop a small "pea" sized amount from the tin. 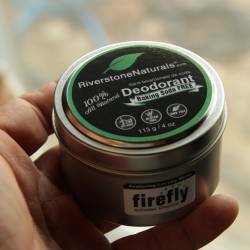 Apply with your fingers by gently rubbing the deodorant cream onto the underarm area, as required. Caution: Contains Lime and Bergamot. Citrus oils may cause sensitivity in sunlight. Avoid applying to skin that will be exposed to sunlight or UV light within 48 hours such as planning on tanning beds or heading to the beach without being covered up.